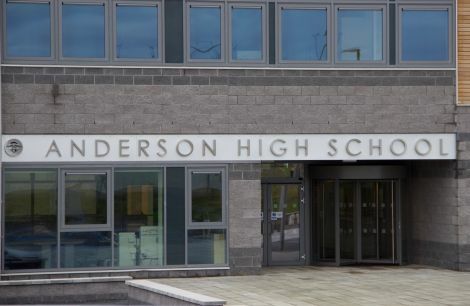 THE COMMITTEE of the Lerwick Junior Up Helly Aa has insisted that the squad will visit the Anderson High School this year after rumours spread on social media that it would be banned. There was talk that the traditional visit to the high school had been cancelled because the junior squad does not include females, but the Junior Up Helly Aa committee said that is not the case. In a Facebook announcement on Friday, however, the committee added that long term it is seeking to move the junior Up Helly Aa festival away from the school. It said: “To clarify the position, Junior Up Helly Aa is organised by the Junior Up Helly Aa committee, and not the Anderson High School. “The Junior Up Helly Aa committee is an independent voluntary group who decide on the squads’ itinerary and accompanies them on their visits on the day. “Both the junior and senior jarl squads will be visiting the re-arranged S1/S2 beanfeast to take place on Monday 5 February in their jarl squad suits. The committee also published its itinerary for Tuesday 30 January, saying that the squad will be visiting the school between 10.40am and 11am “and the school has extended an invitation to visit the school afterwards, during the pupil interval”. A spokeswoman for Shetland Islands Council said the Junior Up Helly Aa festival was not a school organisation and the squad had not been banned from the school.